#Iran Supreme Leader: US wishes a weak & marginalized Iran. 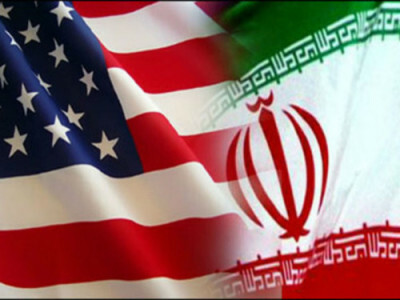 US opposes Islamic Republic's existence, authority & influence. At the same time, the Supreme Leader maintained his support for the Rouhani Government’s pursuit of a nuclear agreement, while saying he is “not optimistic“. No one should consider our negotiators as compromisers, they are our own children and the children of the Revolution. Our negotiators are in charge of a difficult task and no one should weaken an agent who is engaged doing a work. With its policy of engagement and amid nuclear talks, the Rouhani Government may be wanting to put away the slogan “Down with America”, but some within the regime are not ready to comply. Just before November 4, the anniversary of the 1979 takeover of the US Embassy, hardliners are re-asserting the challenge to Washington. Last month, leading figures called for a halt to the well-known chant at Tehran Friday Prayers. Former President Hashemi Rafsanjani, a close ally of the Government, even said that Ayatollah Khomeini had renounced the phrase just before his death in 1989. It is the enemies’ plot that some have dreamed that the Imam [Ayatollah Khomeini] was against Death to America. Are we in a leaderless state where some can dream and say that the Imam was against Death to America? The Supreme Leader does not allow these memories. Down with America is rooted in the Qur’an.